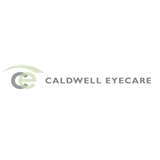 Caldwell Eyecare (West Caldwell) - Book Appointment Online! Caldwell Eyecare takes a different approach when it comes to eyecare. One based on our central philosophy– you, our patients, are the reason we exist. To that end, we built our practice from the ground up as a complete departure to the “big box”, retail-driven trend that is becoming business as usual for so many practices. We start by limiting the amount of patients we see to about half the average amount of most our peers. This allows us to spend, what we feel is, the appropriate time to properly assess and consult with our patients. Dr. Malat and his team truly enjoy interacting with and understanding their patients’ needs and it shows from the minute you step into our office. Once you leave, they are there to help and advise with follow up and to make any adjustments necessary. Don’t be a number, come to us and see what it’s like when the focus is on you. Amazing! It was my first visit. Dr. Malat, as well as his staff, were incredible!! They were professional and pleasant. By far the BEST and most thorough eye exam I’ve ever had. He will definitely be my eye doc for life! !